We started the day with cleaning the bilge. We are finding a yellow liquid in the bilge. Dave didn’t want to taste it, but it felt salty like sea water and greasy like fuel. And it had a diesel smell to it. He thinks there is a leak in our exhaust, either from a hose clamp or coming from the outside. So he tightened the hose clamps and through hull screws. We motored to Marsh Harbour into the wind the whole way. We could see boats racing in the regatta that was taking place this week. 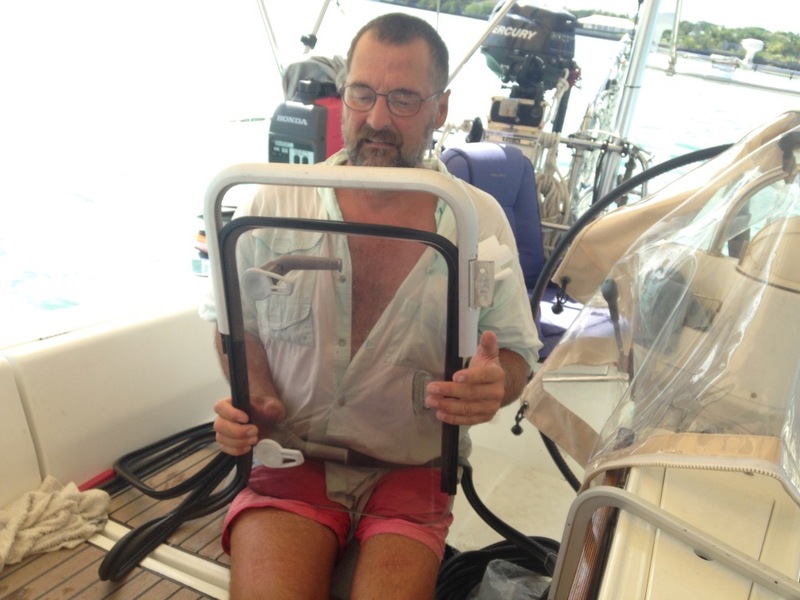 Today they were racing from Elbow Cay to Great Guana Cay. We made it to Marsh Harbour about 1:30. The anchoring field looked deserted. The marinas had plenty of boats, but there were only a handful of boats anchored. That was the fewest number of boats we have ever experienced here. I guess everyone is following the regatta. Dave was ready for a haircut today. 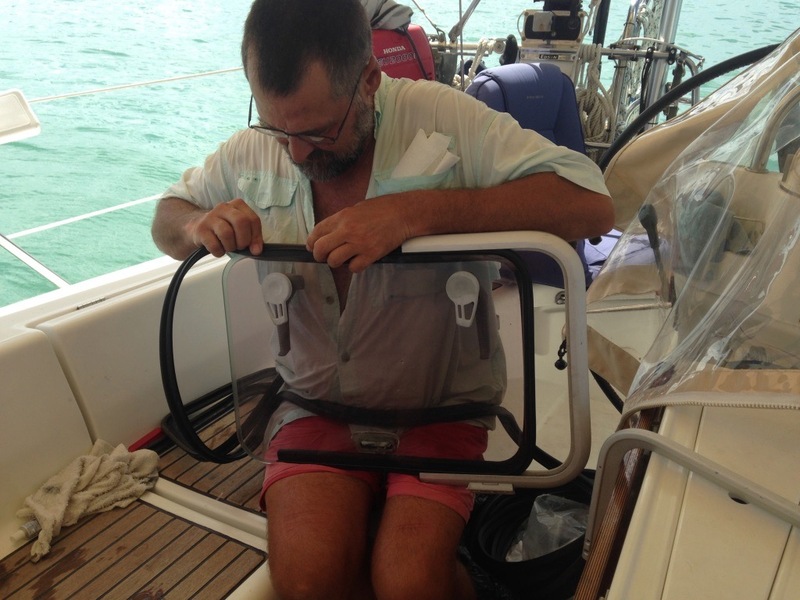 We do that off the stern of the boat with a clippers plugged into the Honda generator. Dave does most of it and I give him the finishing touches. We finished cleaning the cockpit and interior to get ready for guests that arrive tomorrow. 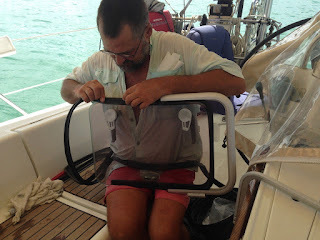 Dave replaced the seal on one of the windows/hatches. The one right above the salon table that makes into a bed. Since we will have guests sleeping there, his timing was impeccable.